Here Comes the Bend Film Festival! 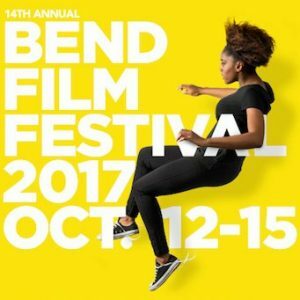 The 14th Annual Bend Film Festival (in Bend, OR) kicks off Thursday, October 12 and I will be there as a juror for the Narrative Films section. Even before Erik Jambor took over as festival programmer, the Bend Film Festival was always on my list of “Fests I Want to Check Out!” so after a full year and a half of badgering Erik to have me out as a juror, he gave in this year. Thanks, Erik! The reasons the Bend Film Festival is so appealing to me are many. For one, I find myself more and more attracted to smaller, regional fests than the big buzzworthy ones. This is because smaller fests feel more like old school fests where filmmakers and film business types can get together and enjoy films with the community without the overkill of every single day being stacked with screenings, panels, parties, cocktail hours, brunches, lunches and late night speak easy type events. Back 10-15 years ago, I loved, hell, thrived on the insanity of festivals like SXSW and Sundance but perhaps that’s a young persons game and I’m not that young any more. No diss to the big fests, I still love them and recognize the importance they play in the independent film world and, I’m always down to attend. But smaller fests like Bend, Oxford, Julien Dubuque and others are just more fun and much easier to really feel like you’re seeing films and meeting filmmakers who can use the love and attention a site like Hammer to Nail can provide. Indeed, the Bend Film Festival itinerary for me looks like exactly my type of fest with 2-3 planned events for filmmakers and attendees each day at local restaurants and pubs which leaves plenty of time to explore the area, make new friends and see films that have either been on my radar or have caught my eye on the excellent schedule. I’ll be kicking in some reviews and overall festival reactions throughout the week/weekend. And, I’d be lying if I didn’t say I was pretty damned excited to check out some of the many microbeweries Bend has to offer and, there’s a ton. Deschutes Brewery seems to be the Big Poppa there and I enjoy their beer but I’m also excited to check out the much-praised Immersion Brewing. Luckily one of the juror/filmmaker events is at Bend Brewing Company which I also am excited to check out. I also have found that hitting up local breweries as a beer fan is very similar to small film fests wherein locals can tell you what other beers to check out in the area much as many festival goers can impart wisdom on smaller films to check out. Anyway, back to le cinema! I also love film festivals like Bend that place themselves after (or before, depending on how you look at it) the bigger festivals. That way, they can kind of cherry pick some of the more buzzed about films that hit big at festivals throughout the previous year and sprinkle them in with local films and premieres. As a juror, I’ve already seen such narrative features as Renée Felice Smith and Chris Gabriel’s charming The Relationtrip, oddball tag-team of Bob Byington and Onur Tukel’s star-studded Infinity Baby and Blake Robbins’ The Scent of Rain and Lightning and can recommend all three. I also can honestly say I enjoyed every film that was offered up to myself and my co-narrative feature jurors, Erin Maddox and Danielle DiGiacomo and deliberations for a winner should be lively. There’s also some other cool, relevant things planned for Bend like a Q& A with former Senior VP of FOX Serachlight, Jill Gwen, a panel with all female directors titled “Film Fatales” and something many fests are getting onboard with, a Virtual Reality Lounge. To be honest, I was previously on the fence about the VR craze but having seen some of what’s being done, I’m on board. While I’m not sure how much VR will change the game or what that game even is at this point, VR is a cool experience, one I recommend everyone try at least once. So, stay tuned to HtN as I will be at the Bend Film Festival Thursday, October 12 through Sunday, October 15. You can also follow the festival on Twitter and Facebook for all the action and chilly fall weather.